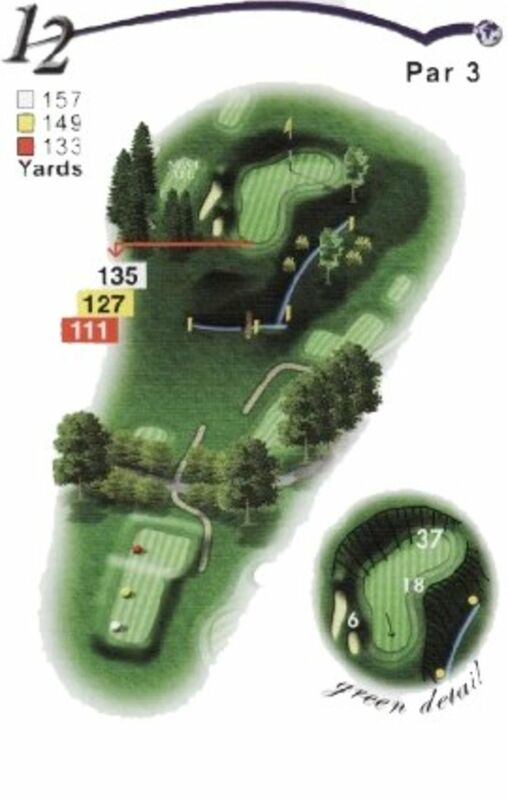 The 12th hole is a unique and challenging par three. Should you miss this kidney shaped green your short game will be tested to the maximum. A ball approaching from the left usually kicks down onto the green.